INSTALLATION AT UNIVERSITY OF OKLA. 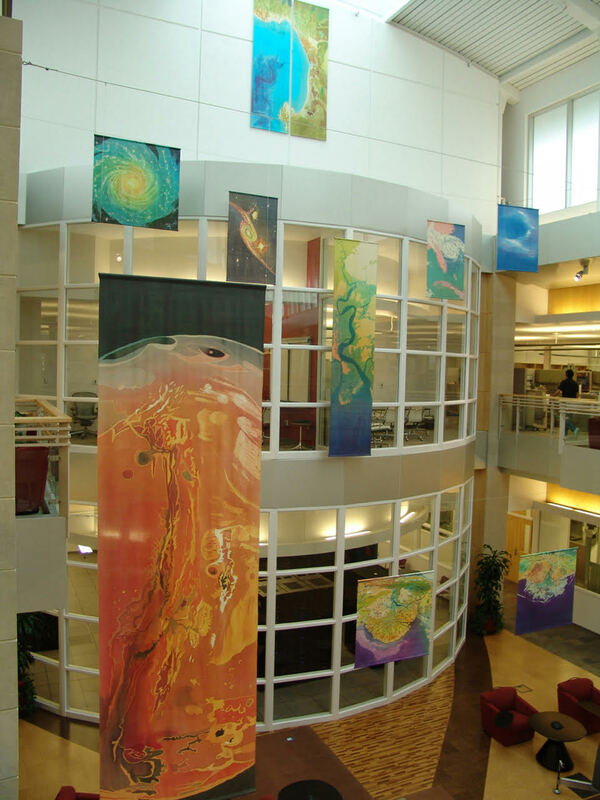 This art exhibit of aerial and outer space perspectives transformed the atrium of the Stephenson Research & Technology Center. Mary Edna lectured on site specific works and on Deltas, Barrier Islands and Beyond for the Honors College.